Over time the number of speeches and the number of days devoted to commencement diminished. Senior speaking became a part of Maxwell Chambers Day usually held in April or March. Senior speaking moved in 1914 to November. 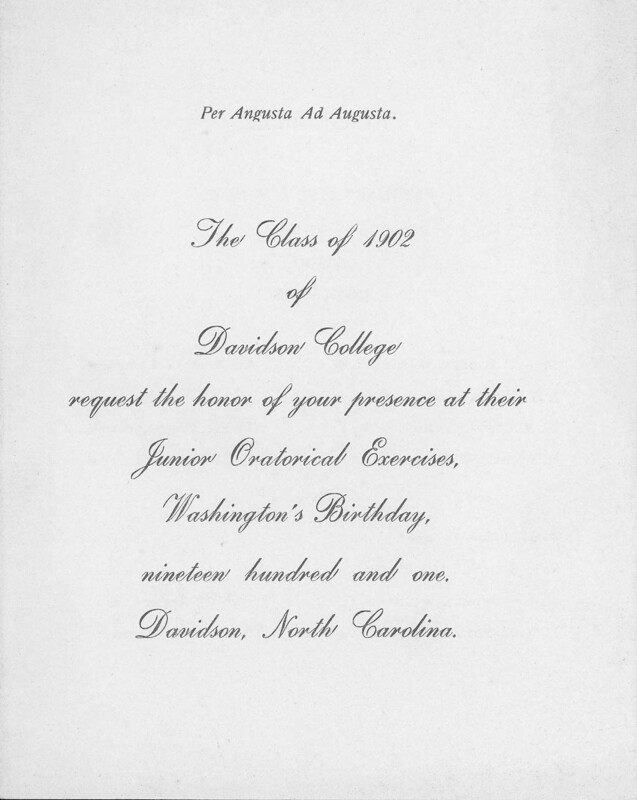 In 1920, the Senior class began presenting a minstrel show in the place of senior speaking. The Junior speaking exercises moved from June to February. By the early 1920s, Junior Speaking became more of a variety show and a social weekend. In the 1930s, Junior Speaking became a dance weekend with no actual speaking or public performances. Junior Speaking Programme (1902). RG 6/14.71. Junior & Senior Speaking. 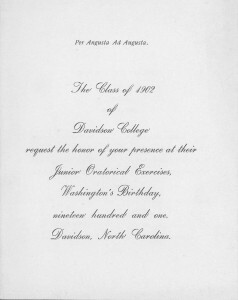 Davidson College Archives, Davidson, NC.